Price: RM 15.05 each (£2.85). Roughly each new year, McDonald’s in some Asian locations release the Prosperity Burger. This been the case for many years. It is often a New Year special, but this year in Malaysia, has crept up the calendar to be released around Christmas. It falls therefore to me, to try this much touted Asian special. 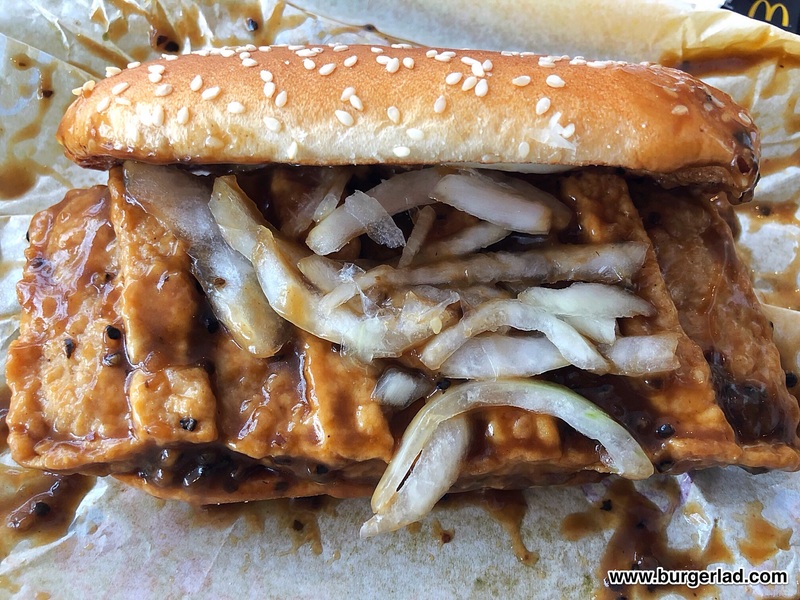 The concept is a relatively simple affair – a sesame seeded bun in a McRib-type shape, with a rectangular patty, black pepper sauce and fresh onions. That’s it. 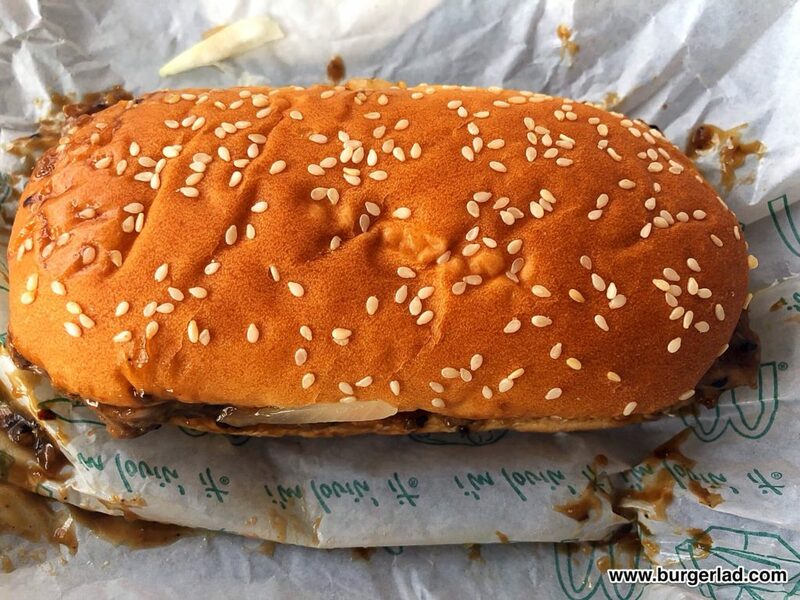 You can’t help but compare it to the McRib. 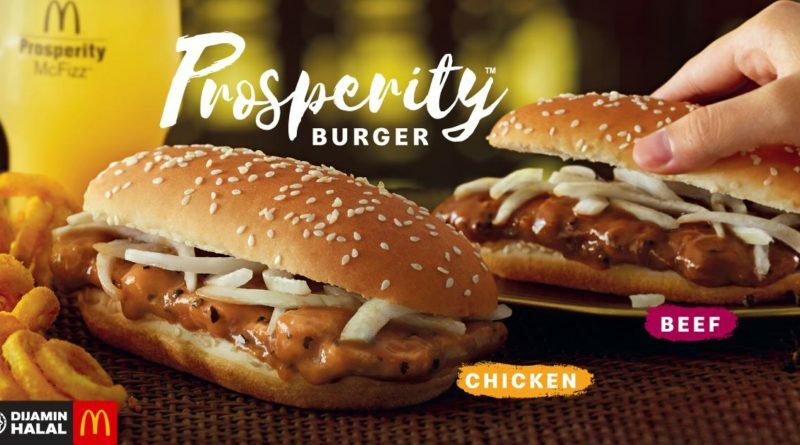 The Prosperity Burger comes in two variants; chicken and beef, and for those of you who might think I’d only have one, I can only say…LOL… Obviously I had both. 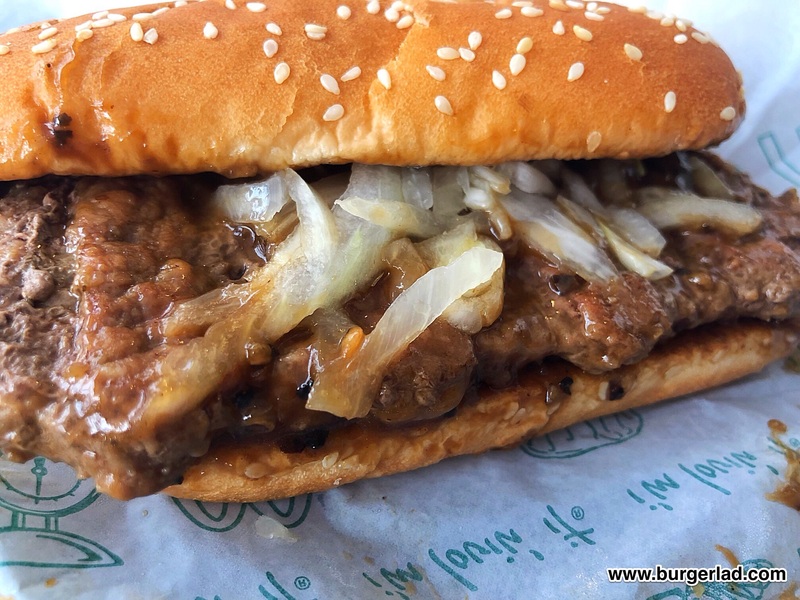 I did say that this burger is much-touted – it seems to sell very well in Asian markets and to that extent is probably akin to the Big Tasty, in terms of regularity and sales. 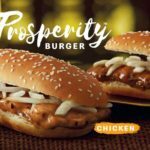 The Prosperity Burger has not made an appearance in the UK, and when you read to the end of this review, you’ll know why. I started with the Chicken Prosperity. 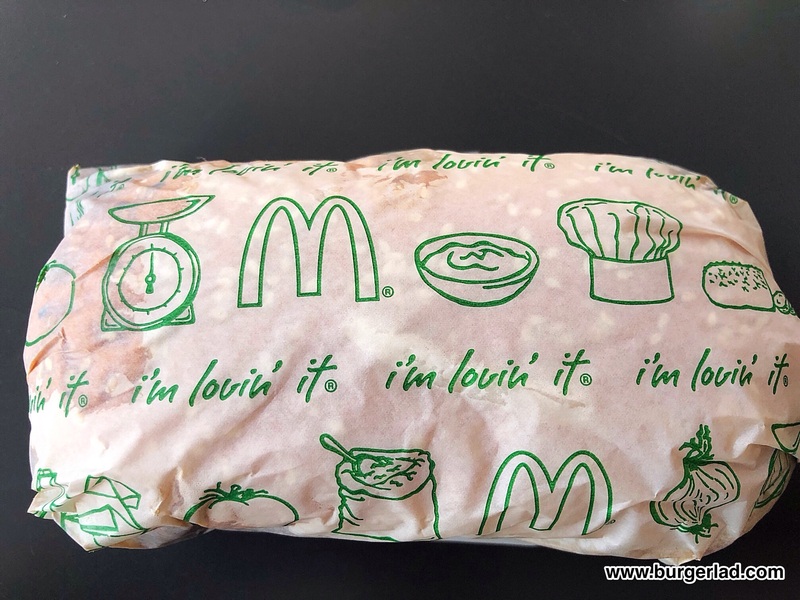 It came with its own branded wrap, but no box, which was a little disappointing. Opening it up, I was greeted with a mess. A good mess, but a mess nonetheless. 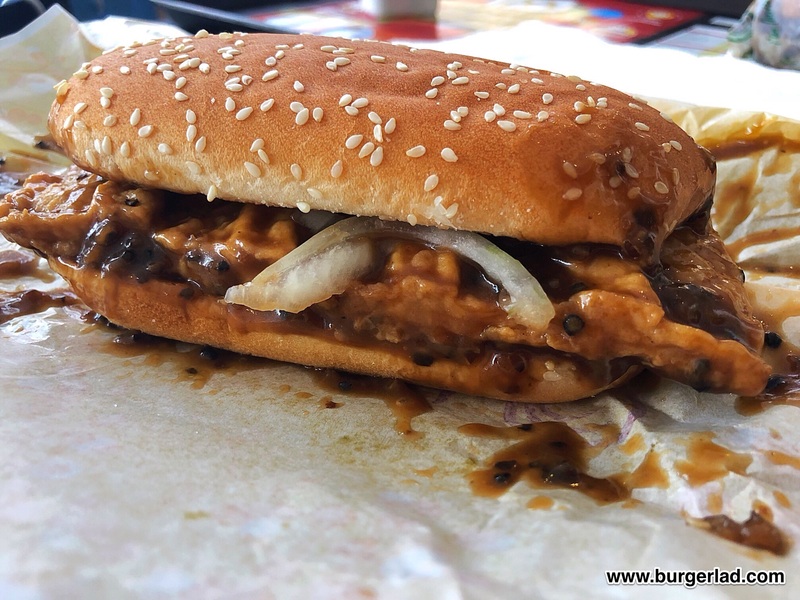 It was sauce overload – sticky black pepper all over the burger and the inside of the wrap. I got up to obtain more napkins and a shower, and sat back down to enjoy this. The smell coming from it was a very unique combination of black pepper and onions obviously. Now, anyone who thinks that black pepper is ordinary, is wrong. 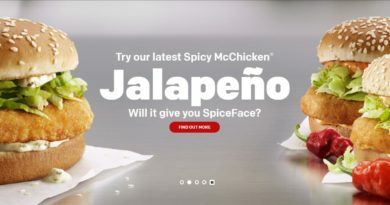 My first bite into this told me exactly the reason it won’t come to the UK, namely that it’s too spicy. Yes, “just” black pepper. You could see plenty of peppercorns throughout the sauce and there was plenty of it! My mouth wasn’t on fire as such, but this was a hot peppery burger. No cheese or mayo which is probably a good thing, keeping this all about the pep. Sticky and hot. 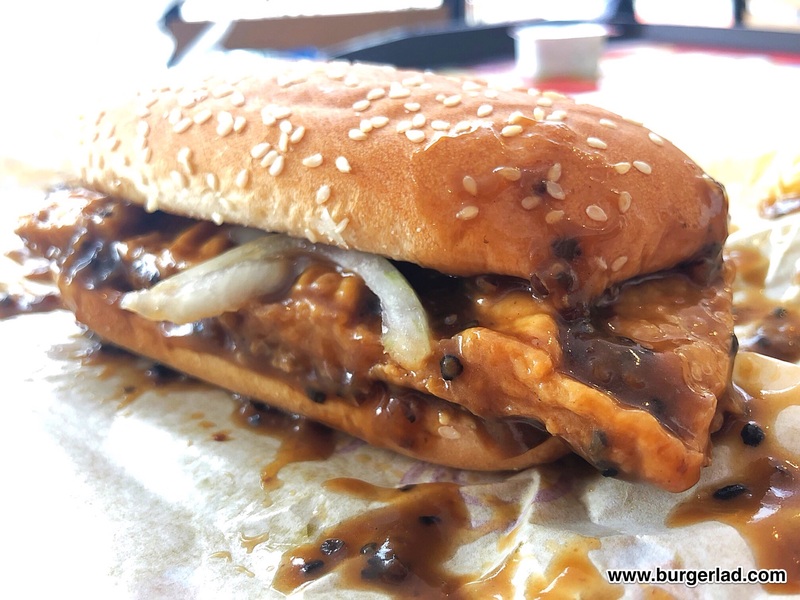 The chicken (thigh) patty was unlike anything I’ve ever seen in the UK. 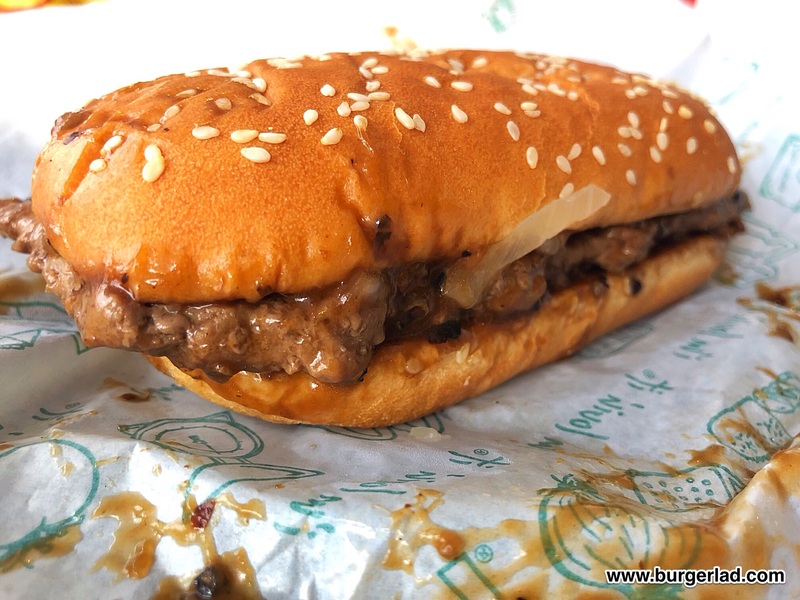 It was thin and reformed into a rectangular shape to fit the bun. 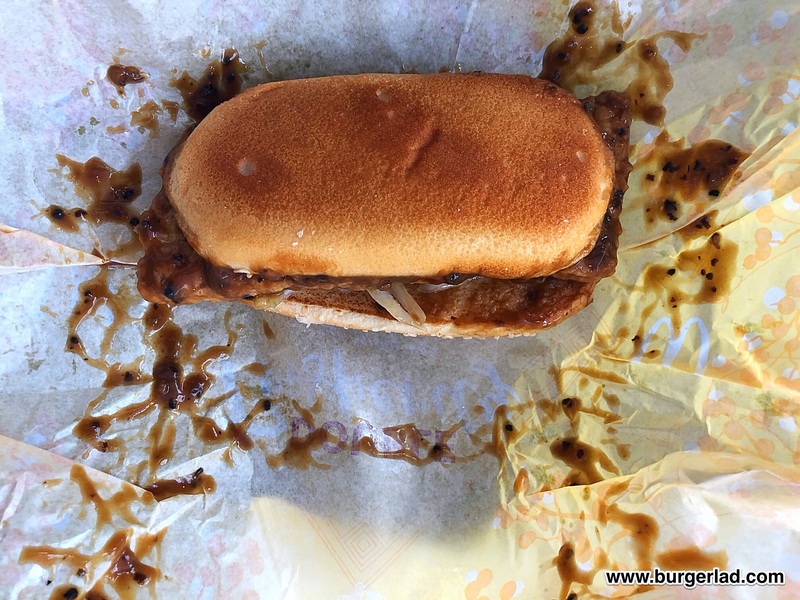 It looked rather artificial, although no more so than the McRib patty. 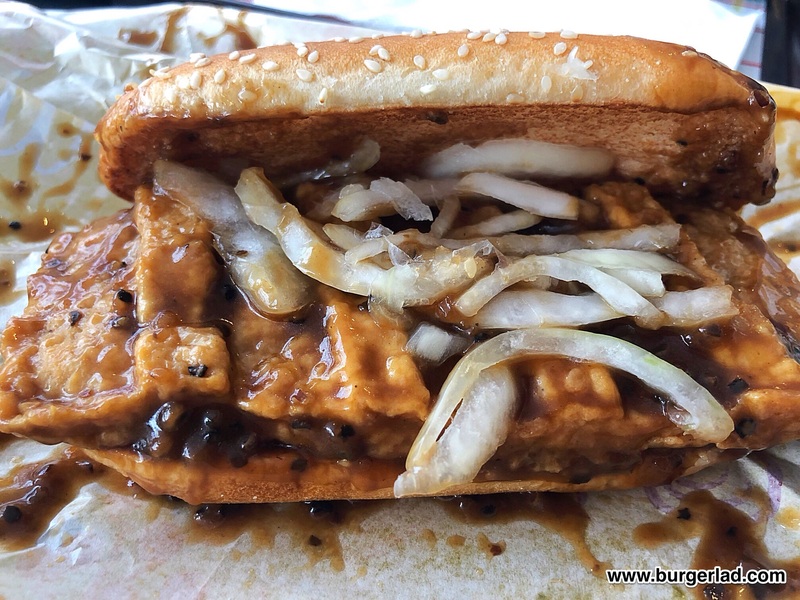 But dare I say, that due to the strength of the sauce, it was the onions that came through in second place flavour-wise, and in fact the chicken was last. This was unique and I definitely enjoyed it, although I found myself asking if I’d enjoyed it as much as I thought I would. The answer is no. 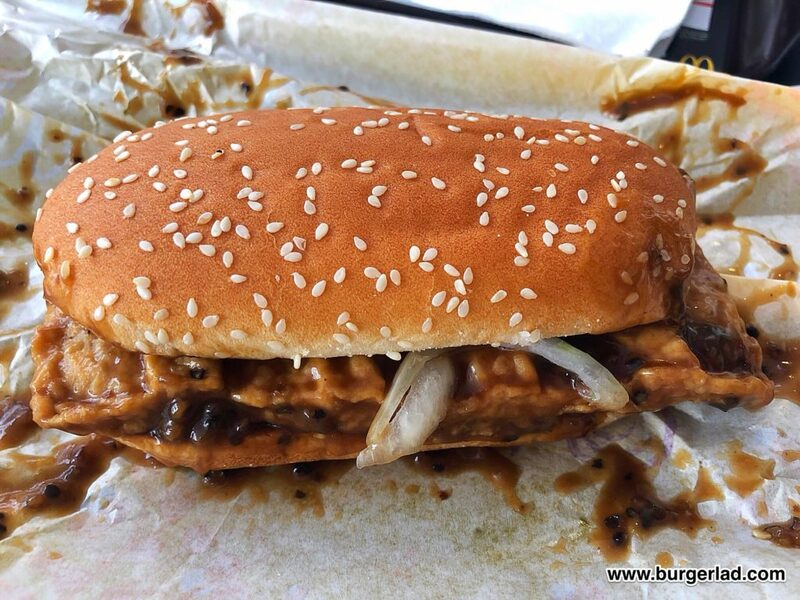 Perhaps I’d been spoiled by the absolutely outstanding KFC Malaysia Zinger Waffle Burger. 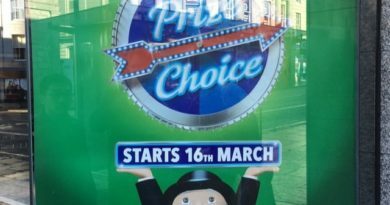 Who knows… but the Prosperity for me just didn’t quite live up to my own hyped version of it. 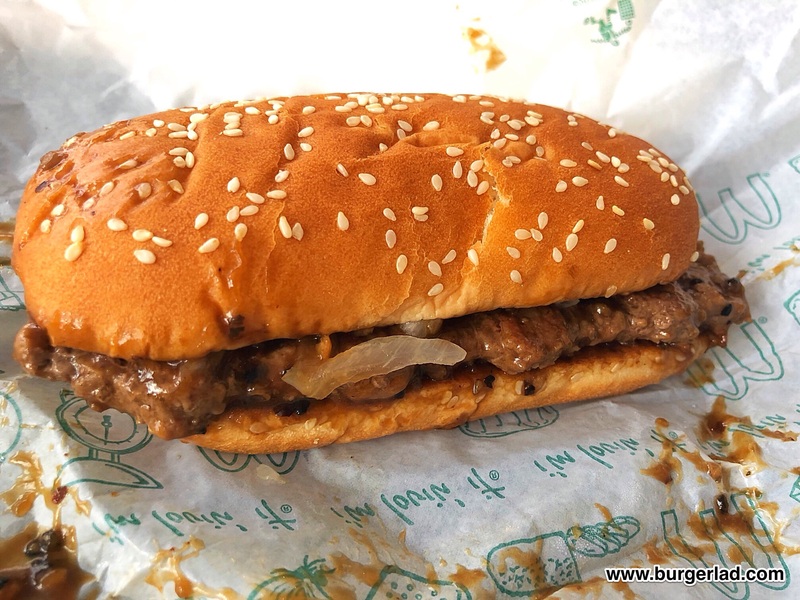 However, it was not far off, and I immediately ordered the beef variant for purely journalistic purposes. This one was a little different as, for some odd reason, it didn’t get its own wrap. 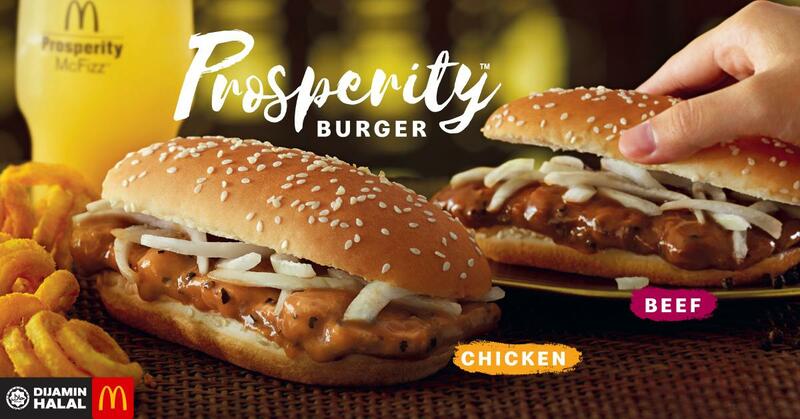 I must say, given how this burger is a recurrent favourite, that there would be Prosperity branded boxes, and it’s very disappointing to find out this isn’t the case. Well, it was exactly the same. I mean, virtually no discernible difference. 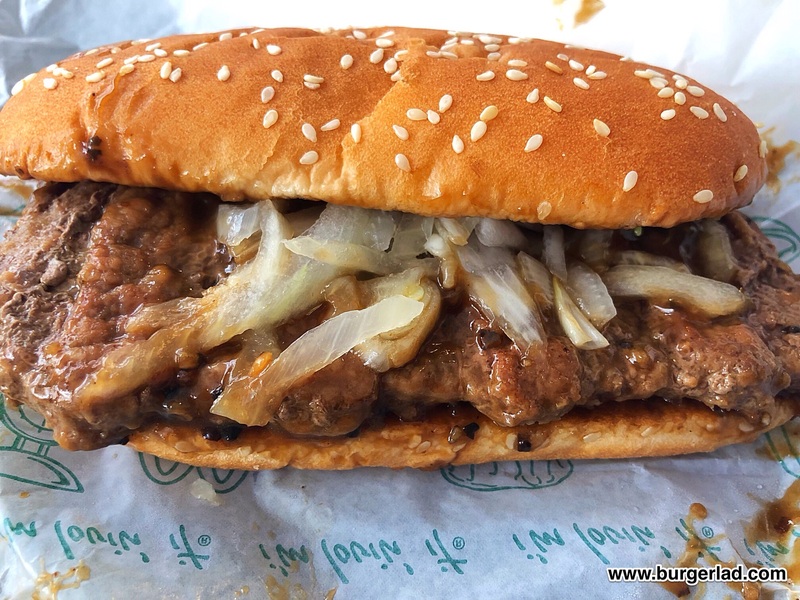 Like the chicken one, the beef flavour was so subdued due to the onions and strong sauce, that it would honestly be a bit of a struggle to tell them apart. Is that how it’s supposed to be? 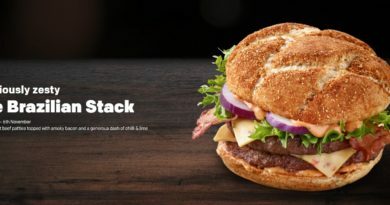 I mean, taking the Big Tasty as an example again, you could easily tell which was chicken and which was beef. 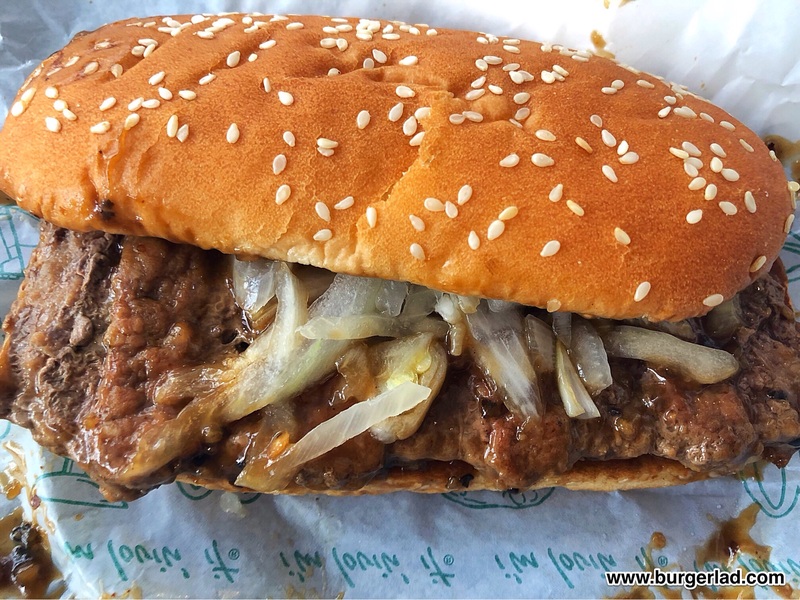 Like the chicken variant, the beef patty had been prepared in the same rectangular fashion, which again served to make it look more artificial. That’s illogical of course because round isn’t exactly steam-shaped either, so it’s probably that I’m just more used to the latter in burgers. 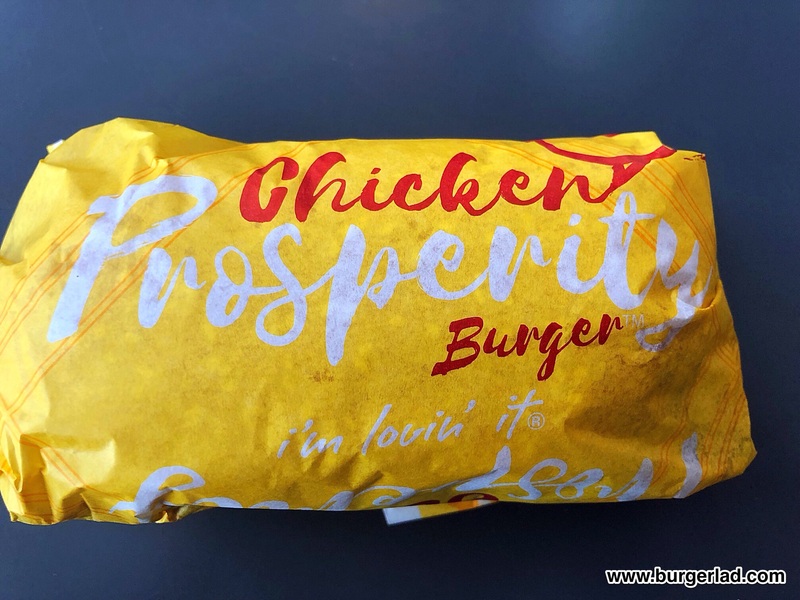 So, the verdict of McDonald’s Prosperity Burgers is that they are definitely worth trying, and I’m glad I did, but I simply cannot help finding them wanting in the face of KFC’s world-conquering effort.